It’s only fitting that at a time when we’re not sure just who’ll portray Batman in Warner Bros.’ future DC movies news would break that the studio was looking for another actor to play the Joker. This time around though, the buzz is about who WB wants to star in the non-DCEU, standalone Joker film. 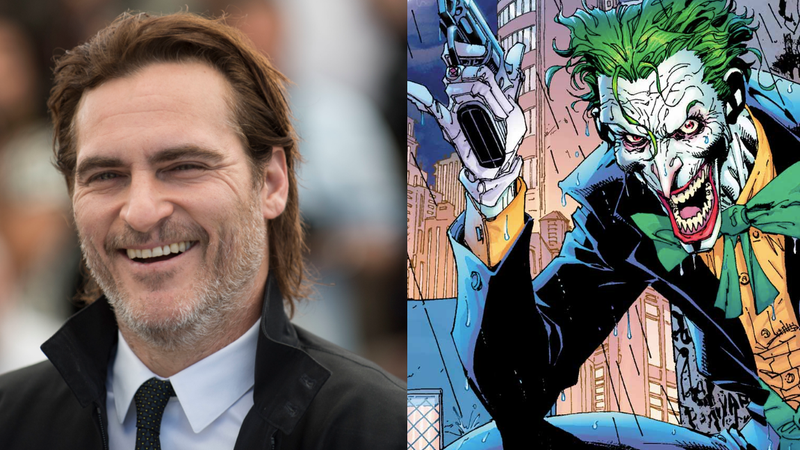 Variety’s reporting that Joaquin Phoenix is the frontrunner to star as the Clown Prince of Crime in director Todd Phillips’ as-yet-untitled Joker movie which would tell the story of the criminal’s early rise to power and be set outside of the same continuity in which all of DC’s other films take place. The project would be one of Warner Bros.’ first big moves to set itself apart from rival studios like Marvel and Fox which have generally stuck to making cape films that all exist within the same shared universe. Variety’s report comes after earlier rumors that Leonardo DiCaprio was the studio’s top pick—something that made sense given Martin Scorsese’s involvement as the film’s producer. There’s absolutely no telling how WB’s plans to juggle multiple cinematic universes might actually work out or whether Phoenix will even end up being the next Joker, but suffice to say that DC’s movies are definitely becoming more...curious to watch develop from the outside. Who's In the Mood For a Joke?